The nominees for the 2017 class of the Rock & Roll Hall Of Fame have been announced, and Tupac Shakur leads a list of first time nominees that also includes Pearl Jam, Journey, Jane’s Addiction, Depeche Mode, and more. If accepted, Shakur would be the sixth Hip-Hop artist admitted to the Rock & Roll Hall Of Fame, joining Grandmaster Flash & The Furious Five, Run-D.M.C., Beastie Boys, Public Enemy, and N.W.A. Nominees may only be considered 25 years after their debut recording. The nomination process has been a bit of a black box. Over the years, much has been done to overhaul the Hall Of Fame, which was beginning to be perceived as old and stodgy. In 2015, Billboard reported that at least 16 nominating members had been dismissed from the Rock & Roll Hall Of Fame. According to the report, the move “wiped out more than half of the Hall’s Early Rock and R&B Influencers subcommittee.” Some speculated that it was a sign the organization was trying to become more in line with the times. Others conjectured that it was an attempt to nominate more mainstream acts, to generate higher ratings for the annual induction ceremonies HBO broadcast. As Shakur now faces consideration, there is arguably no artist more “Rock & Roll” in any genre. Shakur, as much as anyone, marched to the beat of his own drum. 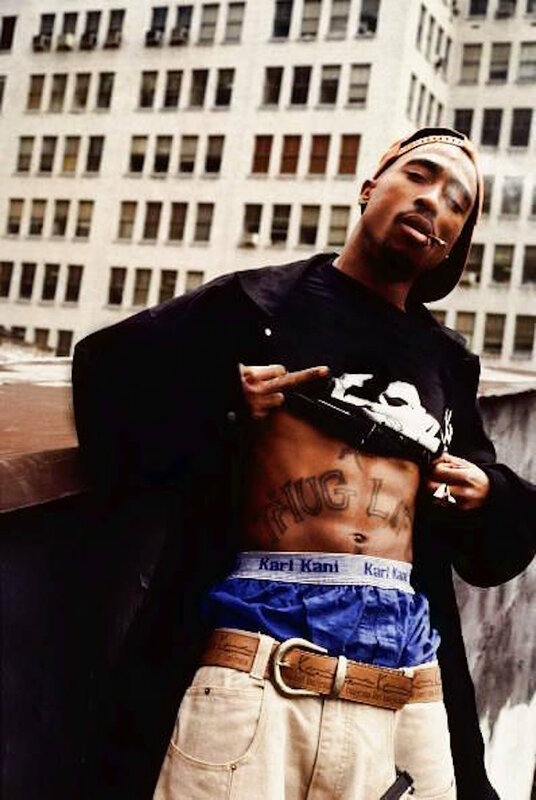 He refused to be put in a box, at times making gangsta music and other times preaching self-empowerment and revolution. His lyrics could veer from misogynistic to feminist, sometimes in the same songs. With acts like spitting at intrusive press, anddaring to shoot two aggressive cops (and beat the charges) his personality was bigger than life making him the epitome of a Rock Star. Previous articleDid Usher and Bobby Brown get into a fight?